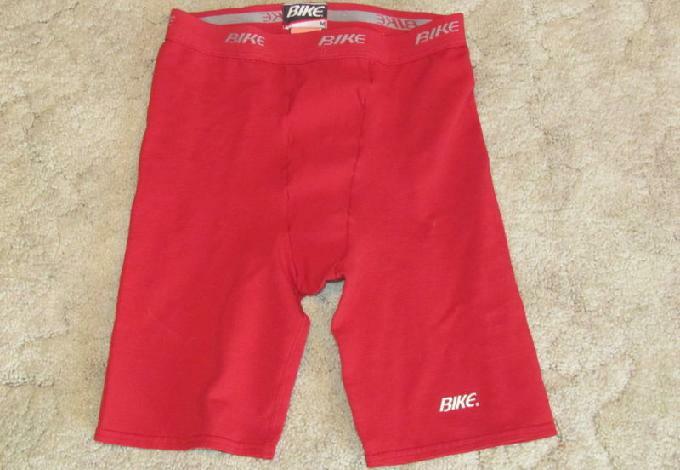 These Red Bike shorts I won at an eBay auction in 2011. Seller was rogerm2710, and it was given the picture above to this description at the auction: Up for bid is this pair of Bike compression shorts. They are all red and are a Mens size Medium. These were only worn a couple of times and are still in excellent condition.